Commissioned by the Everyman Theatre. The play premiered in Liverpool in 1986, directed by Glen Walford. 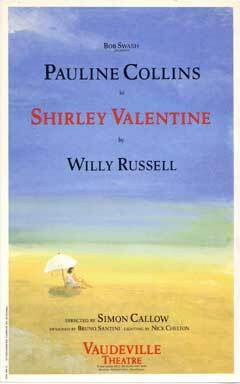 Shirley Valentine opened in the West End in 1988 directed by Simon Callow and produced by Bob Swash. 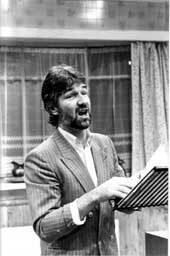 It went onto Broadway during 1990, marking Willy Russell's Broadway debut. This production starred Pauline Collins, who like Julie Walters in Educating Rita, went on to play Shirley in the film version. Shirley Valentine takes the form of a monologue by a housewife before and after a transforming holiday in Greece. Shirley's a middle-aged Liverpool housewife, who finds herself talking to the wall while she prepares her husband's chips 'n' egg, wondering what happened to her life. She compares scenes in her current life with what she used to be like and feels she's stagnated and in a rut. But when her best friend wins an all-expenses-paid vacation to Greece for two, she leaves the drudgery of cooking dinner for her husband, packs her bags and heads for the sun. The note on the kitchen table reads "Gone to Greece back in two weeks." 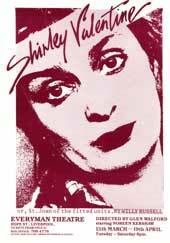 Shirley begins to see the world, and herself, in a different light. With Shirley Valentine, Willy developed a new style of writing - the one woman show. 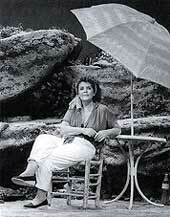 When first created, Shirley Valentine was a two act play created for one voice. In the first act Shirley is at home, in her kitchen and talking to her wall. In the second act she is in Greece on holiday and talks instead to a rock on the beach she visits each day. "It is a simple and brilliant idea...the profound and perennial point of the comedy is the problem we seem to have contemplating the idea of a woman alone - in a pub, on a beach, in a restaurant. This is what Shirley learns to combat as she unravels her own sexual and social identity. The play is not only funny, it is also moving." Michael Coveney, Financial Times.